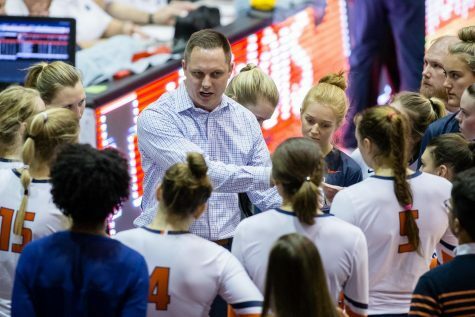 Illinois' athletic director, Josh Whitman, welcomes Chris Tamas into the Illinois family as the new head coach of the Women's Volleyball team at Biefeldt Athletics Administration Building on Friday, Feb. 10. 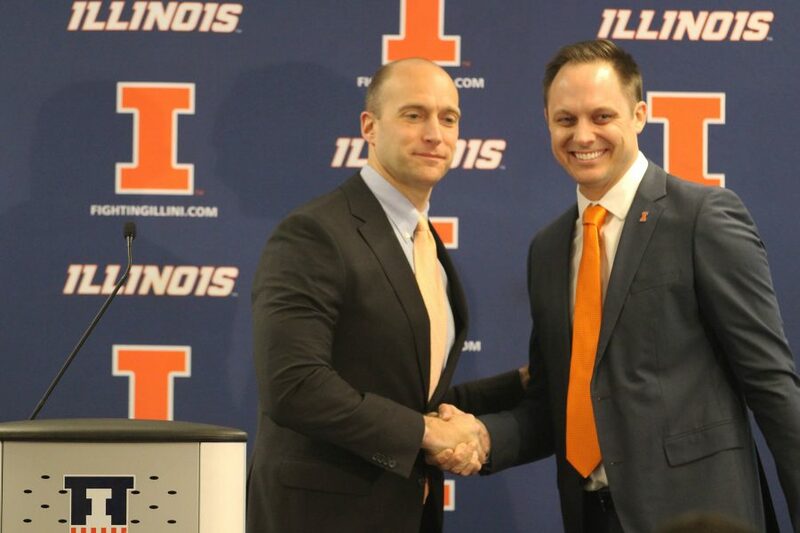 Illinois’ Director of Athletics Josh Whitman was up front about the details of new head coach Chris Tamas’ contract during his introductory press conference Friday afternoon. 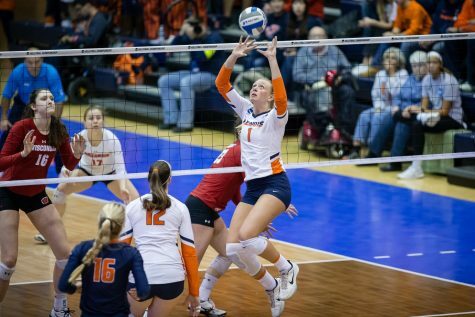 “It’s a five year contract, it starts at $300,000 per year.” Whitman said. 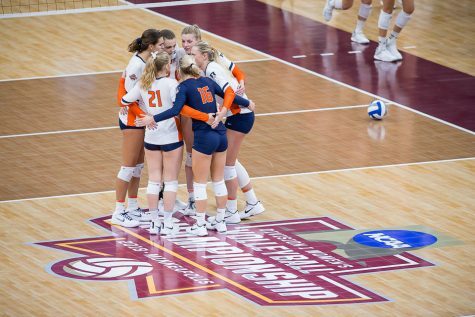 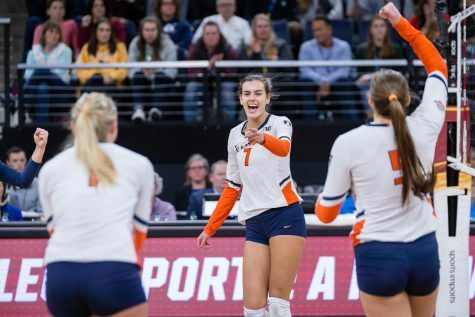 The contract represents a significant investment in the volleyball program; former head coach Kevin Hambly’s last contract extension only paid him $200,000 per year, and that was after he took the program to five Sweet 16s and a National Championship game. 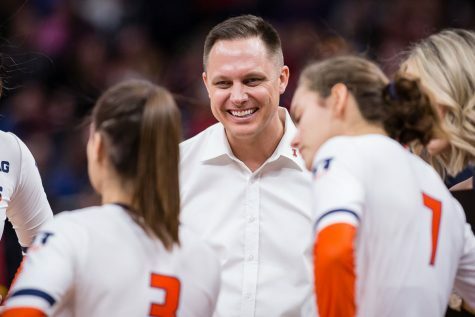 While Tamas won a National Championship at Nebraska, he has never been a head coach before. 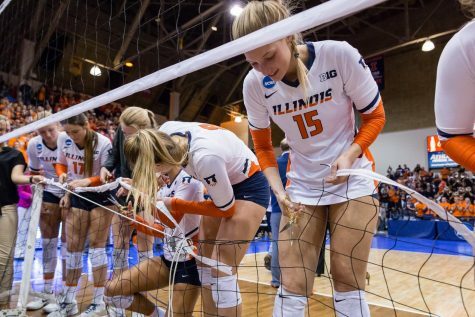 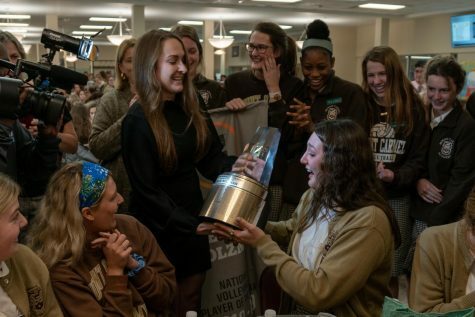 While on the surface this may seem like a risky investment, Whitman pointed out that it was a product of Big Ten volleyball’s growth as a sport. 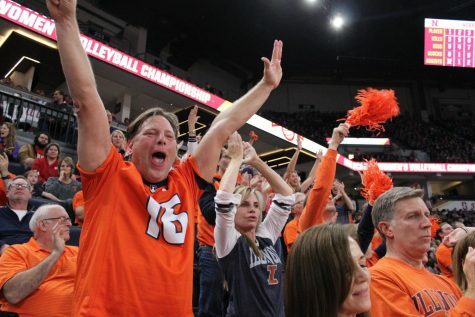 In addition to the head coach position, the people Tamas picks as his assistants may also be due for an uptick in their pay grade.